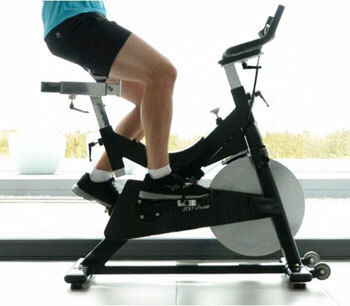 Does The JTX Cyclo 6 Exercise Bike Offer The Function Buyer’s Desire? 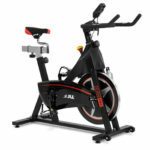 The JTX Cyclo 6 Indoor Aerobic Training Exercise Bike is a good looking model with a great specification and a unique selling point that stands out to many prospective buyers because of its impossibility. Surely no exercise bike can offer “infinite levels of resistance”, there has to be some ultimate level. With its huge 22 kg flywheel, this bike is certainly trying to live up to the challenge it imposes on itself and the creators also boast about the apparent bespoke fit, “superior” build quality and the use of a “multi adjustable riding position”. Many buyers bought this simply as an indoor bike to keep them fit over the cold, wet winter months when they were able to get out on a proper bike, but did it offer them more than that? Does the JTX Cyclo 6 aerobic training bike suit this purpose and what advantages have buyers highlighted in their reviews? This is a highly-rated and very popular machine with reviewer after reviewer giving it five stars. Naturally this means lot of positive features and experiences but what is most interesting about it is that it seems to appeal to users of different natures, rather than having a specific target audience, and they come up with some varying opinions. 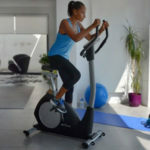 For example, there are some that say they have found the tough, resistance-based answer to their gym’s spin bike that they were searching for and others that see it as the ideal indoor alternative to their road bike. The positive views of the latter camp probably have a lot to do with the flexibility of the “manual infinity resistance system”, which is said to replicate the effort needed for sprints and hills. Furthermore, it seems that users of different sizes find it comfortable to use thanks to the “fully adjustable riding position”, which offers adjustments both vertically and horizontally, and even people as short as 5ft are happy to use it. 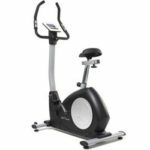 Aside from this variability and wide appeal, buyers have also commented on plenty of detailed aspects to the design and performance of this JTX Cyclo 6 Exercise Bike that lead to their great ratings. To start with, this is seen as being an unusually attractive bike, with its use of black gloss and chrome rather than the usual white or grey plastics. The machine was easy to assemble with a cast steel frame that seems pretty secure. It is very quiet and the controls for the console and the resistance levels are simple to use. To round off this overall positive experience, many users have also said that they are exercising on this machine on a daily basis. Are there any flaws at all in the design or function of this JTX Fitness Cyclo bike that detract from these benefits? As was mentioned before, this is a very highly rated machine with almost as many complements as it claims to have resistance levels; however, there must be some tiny problems hidden among the praise to be brought to the attention of prospective buyers. The first is incredibly minor as one buyer has pointed out the lack of a cadence setting on the computer. To be honest, few basic models have this function and the console is a very run-of-the-mill example of what these computers are capable of. The other issue is the weight: this exercise bike weighs in at a hefty 64kg so buyers should be very careful when they are unpacking and assembling it and must chose its location carefully, as there is no wheeling it in and out of place. Summary: who is this JTX Cyclo 6 exercise bike being recommended to? Interestingly, it is actually much easier to say which buyers this bike is best recommended to than which buyers should stay clear of it because it has a very wide group of happy customers and very few disadvantages to pick up on. This is, perhaps, not the best option if you are looking for something flashy because of the minimal console and the fact that the fanciest feature is, arguably, the adjustability. However, the comfort, security and function for users of different heights, weights and needs – as well the quiet, user-friendly performance – mean that you are a lot more likely to want to use this machine everyday than criticise it. 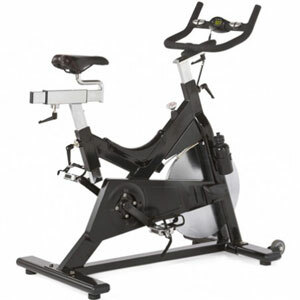 Find more reviews about this JTX Cyclo 6 Aerobic Training Exercise Bike on Amazon here.